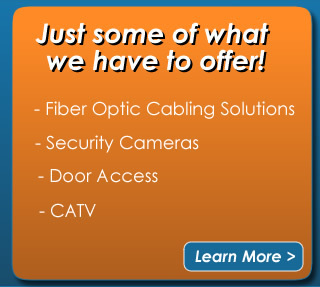 Alta Vista Communications, Inc. is a full-line telecom provider and network-cabling contractor. Since 2000, Alta Vista has successfully implemented and maintained the telecom infrastructure needs of its diverse commercial, educational, and government clientele. Alta Vista is a licensed, insured and bonded Florida Limited Energy Electrical Contractor and a SBA designated Hubzone Federal Contractor. Our experienced staff have decades of experience and expertise that can assist you in the design and installation of your Network and Voice Cabling, CATV, Door Access, and Security Systems. Alta Vista can provide your company or agency with a full-line of Business Telephone Systems and Messaging Solutions. Our experienced consulting and technical staff can implement a state-of-the-art VOIP and Digital telephone system or Messaging System that can greatly improve the efficiency of your organization. Read our full list of services. Alta Vista can quickly quote any Section 16 Communications RFP or Scope of Work on your next project.